Are you looking for creative ways to storage basic sewing and quilting supplies like threads, fabric tools and patterns. QuiltWoman.com surfed the web to find the most unique and creative storage solutions designed to get your sewing room in order. 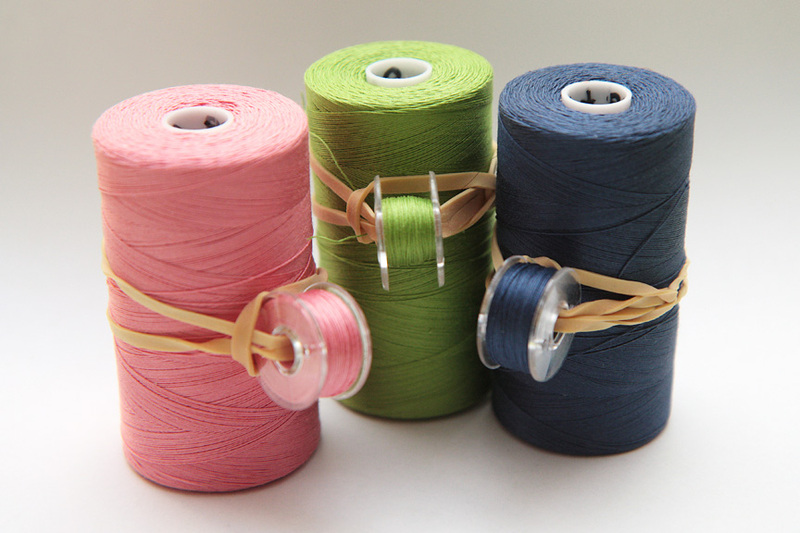 Here are our top picks for organizing sewing threads. 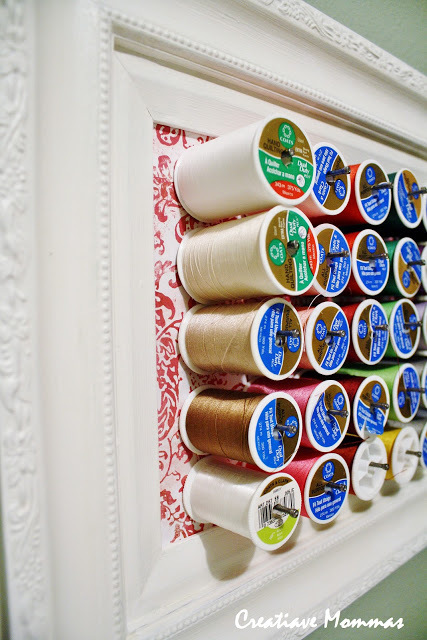 We love the framed thread organizers that are popping up all over the web! Our favorite is this version by Creative Mommas. They used some scrap board salvaged from the garage and long nails to create this upscale sewing thread organizer. We love how they used scrapbook paper in the background to spruce up the sewing room décor. Sew Many Ways shows us how we can turn a galvanized bucket into a fun sewing thread organizer that uses magnets to attach the bobbins to the bucket. Magnets can be purchased at any local crafting store such as Michael’s or Joann’s. 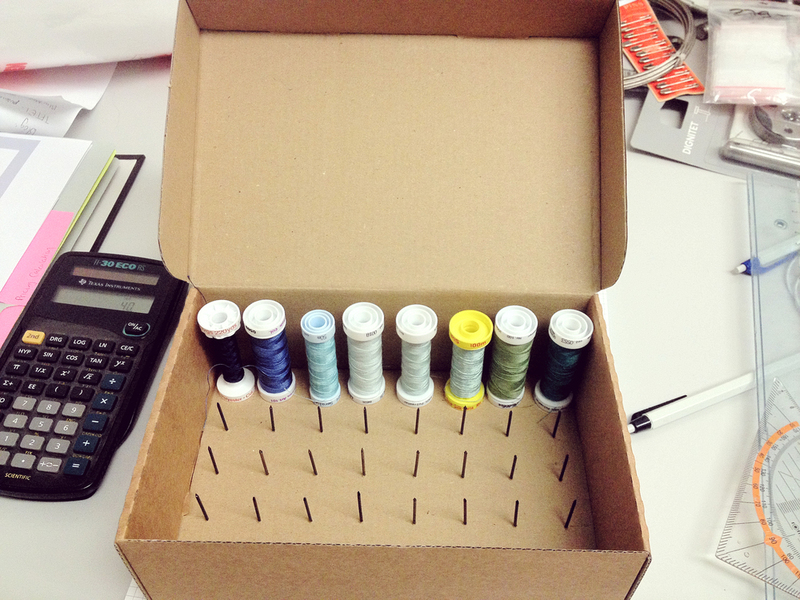 Rosie Posie found this great sewing thread organizer, perfect for storing lots of spools in various sizes. 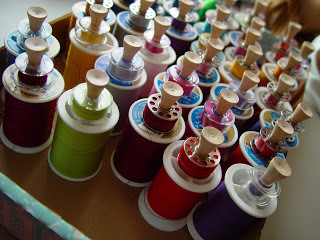 It gives her plenty of room to sort her smaller spools of thread by color. It is hand made of wood and each level spins. Plus, it looks great! Have you ever heard of a spool box? 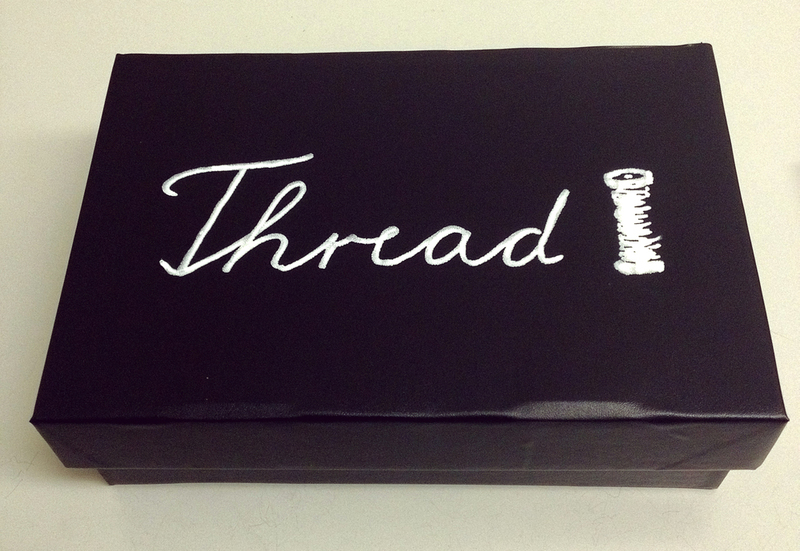 We had not either until we saw this box on the blog Mur Mur Shop. They used an ordinary heavy duty cardboard box (recycled) to create this DIY version of an expensive version they had recently purchased (it only held 12 spools!) Given a few coats of trendy chalkboard paint, this box is upcycled awesomeness. Speaking of upcycling, this old silverwear tray is perfect for organizing sewing threads. We think the extra vertical slot should have a hook for hanging scissors. What do you think? A simple yet brilliant idea from The Minneapolis Modern Quilt Guild wraps us up for today. 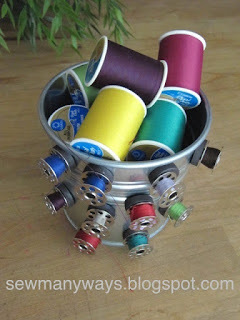 Use plain rubber bands to keep matching bobbins and spools together. How great is this? 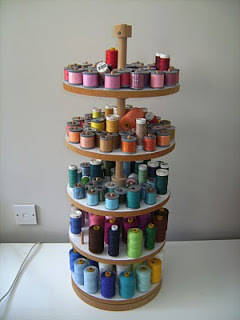 So tell us, how do you organize sewing threads in your creative space? This entry was posted in Helpful Tools, Notions, organization, QuiltWoman and tagged minneapolis modern quilt guild, organize sewing threads, QuiltWoman.com. Bookmark the permalink. That rubber band idea is a keeper! And I love the upcycled box; I will have to keep an eye out for that kind of a box. (Perhaps my next shipment from QuiltWoman.com???) My husband has mounted three of the large June Tailor thread racks on the wall for me as well as a cone-size one for my most frequently used serger threads. Still not nearly enough storage. 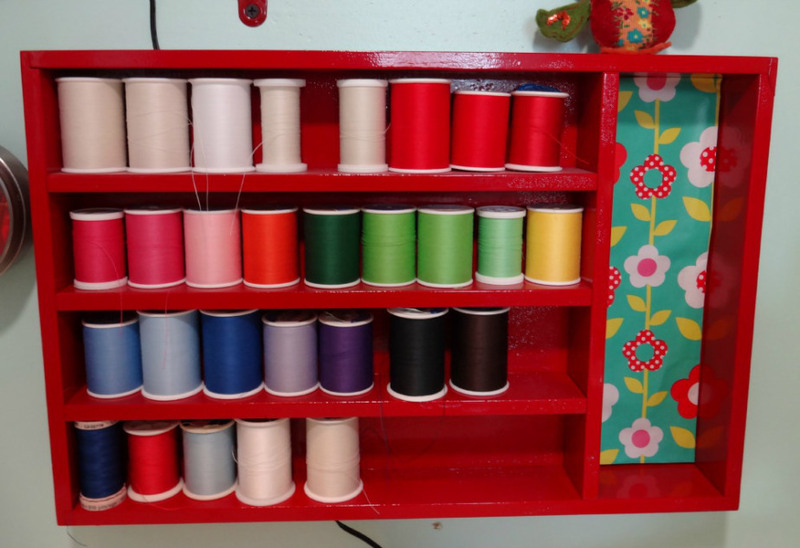 I have a dream of having a wall full of racks with my thread arranged to show a parrot in all those fun bright colors of my embroidery threads. Awesome idea! If you ever get to arrange your threads in the shape of a parrot, we would love to see it Shelly! We love your bags on Etsy, by the way! I love your post, what excellent ideas! Thank you. wearable art, just pure inspiration and sometimes techniques that can go through the wash. Looking for a way to store the large spools (Bottom Line).